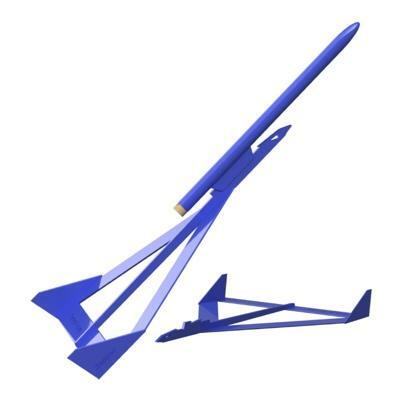 Boost Glider Model Rocket Kit for 18mm Engines. Laser-cut balsa parts. The model flys upward under rocket power then the pod separates to come down on a streamer while the main section gracefully glides to the ground to fly again! This is a fairly easy to build Boost Glider ("BG") that is similar to the old Edmunds "Deltie" design. While not strictly a "competition-style" BG kit, this model can put in good times if you're looking for a simple glider to use in NAR competition. 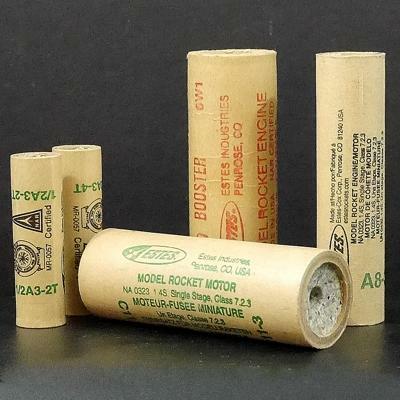 Electronic launch system; launch pad with 1/8" launch rod; recovery wading; engines (see list of recommended engines above).